The before and after PowerPoint slides show a simple makeover. We have used our own 24point0 editable slide from the Costs Cutting PowerPoint deck. 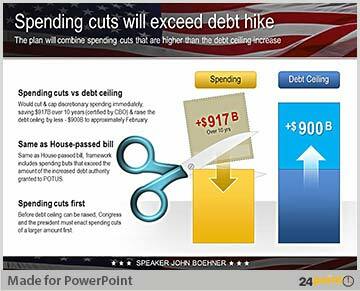 We used the PPT presentation of Speaker John Boehner on spending cuts as an example of cleaning up a slide and inserting our custom made PPT graphics. 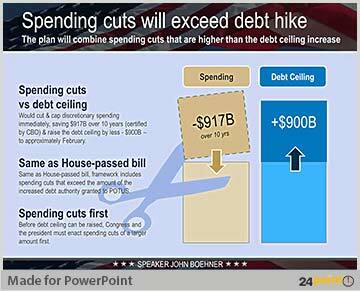 Buy and Download the Cutting Cost PowerPoint deck.